Ali CHEKNANE is a full-Professor at the Amar Telidji University of Laghouat-Algeria. He has completed his PhD in physics. Ali is having 20 years teaching graduate and post-graduate teaching experience at the university as temporary, associated and permanent position. He has published many papers in various journals and conference proceedings on renewable energy subjects. He published more than 50 journal papers, did more than 40 conference presentations and served as an editorial board member for several technical and organizing committees for international conferences. He has many years’ experience of supervising several postgraduate and graduate students. He got an incentive award from “Centre de Development des Energies Renouvelables- CDER”. He was awarded for the best publication in physics in Algeria from the ANDRU agency in 2008. He is the Head of the research team: “Photovoltaic Systems & Devices” at the Laboratory of Semiconductors and Functional Materials. He is a reviewer in many Journals as: Solar Energy, Conversion Energy and Management Journal; Electronics Journal, International Journal of Engineering Innovations and Research, Measurement and International Journal of Electronics…etc. Ali CHEKNANE is the Dean of the Faculty of Technology at Amar Telidji University of Laghouat- Algeria. Loai Aljerf is a Prof in the Department of Basic Sciences, Faculty of Dental Medicine/Damascus University. He is a specialist in analytical and industrial chemistry. He obtained many awards and published more than 30 peer-reviewed papers (two of them in French) in Environmental Sciences, Green Chemistry, Analytical Chemistry, Synthesis Chemistry, Concrete, Ceramics, Paper Industry, Petrochemical, Extraction, Separation, Lithium-Ion-Batteries, and Oral Chemistry. He is a partner in Advances in Cleaner Production Network, and a member of the German Chemical Society e.V. (GDCh) and the American University of Beirut. He is a member of the higher committee of the 6th International Workshop-Advance in Cleaner Production (São Paulo, Brazil (May 24th to 26th - 2017). Loai Aljerf is in the Cambridge Scholars Publishing-Life Science Advisory Board and an editor of more than 50 journals and a reviewer for Top journals in Industry, Chemical Engineering, and Environmental Chemistry. 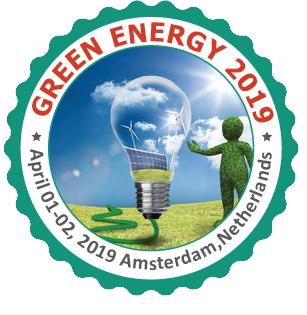 Industrial Chemistry, Analytical Chemistry, Environmental Chemical Engineering, Environmental Science, Environmental Chemistry, Green Chemistry, Cement Industry, Ceramics, Paper Industry, Advances in Cleaner Production, Climate Change. Born on 13 th October, 1968 in Ludhiana, Dr V P Sethi joined B Tech in Agricultural Engineering at College of Agricultural Engineering & Technology, PAU in the year 1985. He graduated in 1989 and gained industrial experience for two years before joining M Tech in the year 1991 in Mechanical Engineering department (Thermal Environmental Engg.,) at PAU. He received Jindal Irrigation scholarship during B Tech and PAU merit Scholarship during M Tech programme. He joined as Assistant Professor in the department of Mechanical Engineering in July 1993 and taught many subjects of Mechanical Engineering for about 11 years before joining Ph D (in Solar Thermal Engineering) at Energy Research Centre, Panjab University Chandigarh in 2004. His PhD thesis was nominated amongst the top 10 best thesis at the National level by Indian National Academy of Engineers (INAE) for innovative students project award-2007. He was promoted as Associate Professor in May 2007 and as Professor from July 2010. Apart from teaching UG and PG courses, he has handled four research projects as PI funded by (i) Punjab Govt. (on Solar Energy Utilization), (ii) ICAR (AICRP, Solar Energy component) and (iii) RKVY (Indigenous Hydroponics, Aeroponics and NFT Technology) & one Project as Associated Scientist (AICRP Wind Energy component) iv) Apart from this, one extramural research project sponsored by ICAR on Paddy straw management is in progress.He has been 4 nominated by Punjab Agricultural University for the most prestigious Shri Shanti Swarup Bhatnagar Award-2013 in Engineering by CSIR, New Delhi. He was invited as guest faculty by University of Guelph, Ontario, Canada to deliver seminar on “New Hydroponics Technologies and Future Research Collaboration" from 16 to 23 Aug 2015. In recognition of his contributions at international level, he was awarded with Albert Nelson Marquis Life time achievement award 2017 by the Marquis Publishing Board, USA. The institution of engineers India(IEI), Chandigarh chapter has awarded him outstanding Professional Achievement Award in August 2017. Solar Energy & Greenhouse Effect. Senior Associate Professor in Mechanical Engineering and recognized researcher in Solar Thermal Engineering. Senior Tutor in Heat Transfer, Design of heat exchangers, Solar thermal energy. Has recently led major studies of mathematical modelling and experimentation of solar thermal systems. Has a proven track record of course development, teaching and examining at all levels in technical education. Farrokh joined ERL as a Postdoctoral Associate in 2014 after working as geomechanic engineer in Itasca Houston and completing his PhD, and he is now a Research Scientist. He received his PhD in civil engineering, with a minor in petroleum engineering from the University of Texas at Austin in 2013. His PhD focused on the application of 3D boundary element modeling on natural and hydraulic fracture development. Farrokh's experience and interests include natural fracture development and behavior, hydraulic fracturing, fracture mechanics and propagation modeling and constitutive modeling of fractured rocks. He also does numerical geomechanical modeling using the discrete element, finite element, boundary element and displacement discontinuity methods. Farrokh is currently working on the modeling of hydraulic fracture propagation in naturally fractured reservoirs, fault reactivation and HF induced seismicity. Sunita Mahavar is working as Assistant Professor at Department of Physics, University of Rajasthan, India since 2013. She is actively engaged in the Solar Thermal Energy research area since her Ph.D. duration; she has guided graduate, post-graduate and M.Tech. projects. She has also supervised projects funded by national scientific organizations and presently working on project “solar paraboloid collector systems” funded by Department of Science and Technology, India. Her research is recognized with more than 35 research papers in reputed national and international journals and conferences. She also has international participations supported by Ministry of Science and Technology of the Republic of India, DST. She was awarded Doctor of Philosophy (Ph.D.) in Physics in the year 2013 from the University of Rajasthan, Jaipur, India. She completed her B.Sc. degree in 2006 from Maharani’s college, Jaipur, India and M.Sc. degree (2008) in Physics from Department of Physics, University of Rajasthan, Jaipur, India. Modelling, Design development and Testing of Solar Thermal Appliances viz. solar water heater, solar cooker, solar still, solar concentrator etc. ; Synthesis of nanoparticles and their use in solar absorber materials. Nabeel Al-Rawahi is an Associate Professor in the Mechanical and Industrial Engineering (MIE) Department at Sultan Qaboos University. He had his PhD from the University of Michigan, Ann Arbor, in 2002. He had been the Head of the Mechanical and Industrial Engineering Department from 2011 to 2017. His research work covers areas of multiphase flow, computational fluid dynamics (CFD), and renewable energy. He published more than 40 reviewed papers in international peer-reviewed journals and conferences. Computational Fluid Dynamics, Multiphase flow, Renewable Energy, and Water Desalination. Mahmood has completed his PhD at the age of 38 years from Universiti Tenaga Nasional (UNITEN) / Malaysia. He is a Faculty member of Mechanical Engineering Department, College of Engineering, University of Basrah. He has published more than 6 papers in reputed journals and has been serving as an editorial board member of repute. Renewable Energy, Solar thermal technologies, Power plants, Hybrid solar-fossil power plants. Dr. Abu Yousuf has completed his PhD at the age of 31 years from University Naples Federico II, Italy in 2010 and postdoctoral studies from University Malaysia Pahang, Malaysia. He has published more than 40 papers in reputed ISI journals and has been serving as an editorial board member of Bioenergy and Biofuels, Frontier, Switzerland and Peertechz Journal of Biological Research and Development, India. He won UNESCO Prize on Energy for sustainable development in Asia, Jakarta, Indonesia, 2011. He attended the BIOVISION.Next Fellowship Programme at BIOVISION 2013 - the World Life Sciences Forum, Lyon, France, after a selection based on scientific excellence, mobility, involvement in civil society. Dr. Muhammad Rashed Al Mamun successfully completed B.Sc. in Agricultural Engineering and MS in Farm Power and Machinery from the Faculty of Agricultural Engineering and Technology, Bangladesh Agricultural University, Bangladesh which was established with academic support from the Texas A&M University during 1961. He received his PhD on advanced technology from Kumamoto University, Japan. Dr. Al Mamun is an Associate Professor, Department of Farm Power and Machinery, Sylhet Agricultural University, Bangladesh. Prior to this position, he has working as Assistant Professor and Lecturer for the same University and Agricultural Engineer in Ministry of Agriculture, Bangladesh. He also worked as Research Scientist in Groundwater Leadership Program (GelK), and Guest Lecturer in Kumamoto University, Japan, Visiting Professor at Shahjalal University of Science and Technology, Forestry Science and Technology School, Agricultural Training Institute, Bangladesh. Dr. Al Mamun’s research concentrate on renewable energy, agricultural machinery, precision agriculture, remote sensing, groundwater hydrology, solid wastes management and GIS based agricultural policy management. He is working simultaneously in different research projects such as agricultural mechanization, tea processing technology, bioenergy, and solid waste management. Dr. Al Mamun teaches Heat Engines, Agricultural Power, Agricultural Machinery, Agricultural Mechanization, Heat and Mass Transfer, Precision Agriculture, Bio-Materials and Systems, Project Planning and Evaluation, Engineering Management, and Farm Mechanics in the undergraduate course of studies. In the graduate program, he teaches Farm Machinery, Agricultural Research Methodology, Farm Power, and Bioresources Engineering. Besides teaching activities, he performs research and supervises graduate students in the field of renewable energy, farm machinery, solid waste management, hatching and house management of poultry, and farm mechanization. His research articles have published in the many reputed journals and written a book on Renewable Energy. He chaired many technical sessions at International Conference. He has achieved Kumamoto University President Award, Sylhet Agricultural University Best Publication Award, Kingdom of Saudi Arabia award for Environmental Management in the Islamic World and Venus International Research Award for Outstanding Scientist in Farm Power and Machinery. Srikanth Reddy K received B.Tech. degree in electrical engineering from Jawaharlal Nehru Technological University, Kakinada (JNTUK), India, in 2012, M.Tech. degree in renewable energy from MNIT, Jaipur, India, in 2015 (recipient of POSOCO Power System award from FITT (Foundation for Innovation and Technology Transfer) for best thesis) and Ph.D. in Electrical Engineering from the Indian Institute of Technology Delhi (IITD), India. His research interests include resource scheduling in smart grids, energy storage and electric vehicle applications in power systems, clean energy technologies, and deregulated electricity markets. He is also working in the areas of artificial intelligence, computational intelligence, heuristic approaches, fuzzy inference systems, decision making systems with application to power system operation and planning. 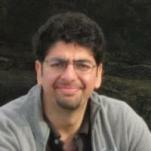 He serves as review board member for various Journals from IEEE, IET and Elsevier publishers. He has been awarded with “Outstanding Reviewer” for journals “Electric Power System Research” and “Engineering Applications of Artificial Intelligence” and “Renewable Energy (Elsevier)” for the year 2017. Energy storage, Electric vehicle applications in power systems, Clean energy technologies, and deregulated electricity markets.